Here is my take on the color challenge. 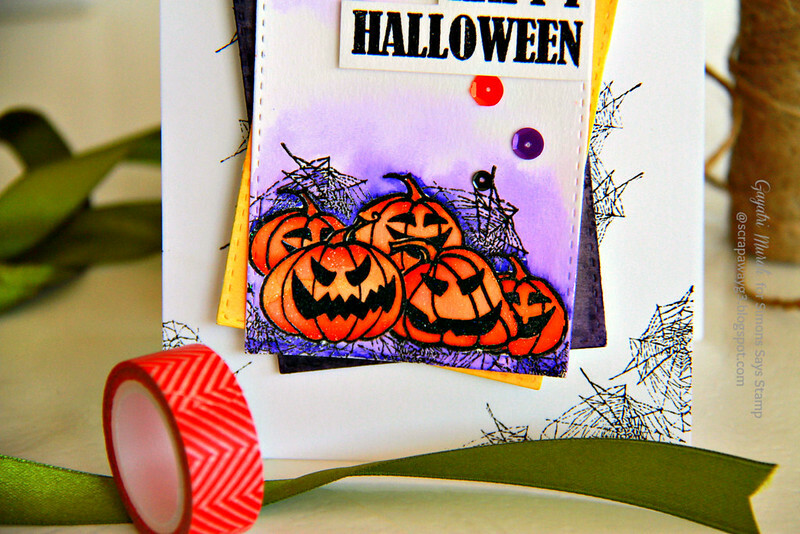 I have used Stampendous Halloween stamp set to make my Halloween card. I started with die cutting a stitched rectangle panel using Simon Says Stamp Stitched Rectangle set. Then I masked and heat embossed the pumpkins and the spider webs. I coloured them and the background using zig clean brush pens. For the layering paper, I die cut two more watercolour paper and watercoloured them using Zig Clean Brush pens picking the colours from the colour challenge. Once dry, I layered these panels. The sentiment is also from the same stamp set which I stamped and heat embossed on a strip of white cardstock, trimmed and adhered using foam adhesives. I placed this layered panel on a white cardbase. The base was too plain to my liking. So I stamped some spider webs on the corners and in the middle to make them peek out from behind the panels. I embellished the card with Pretty Pink Posh’s Tangerine and Amethyst sequins. Here is a closeup of the watercoloured panel. hello Gayatri! this is super fun and super cute…I luv it…fabulous card! hope you have a awesome day! Hee hee – this is FAB! Love those pumpkins and your awesome masking skills! 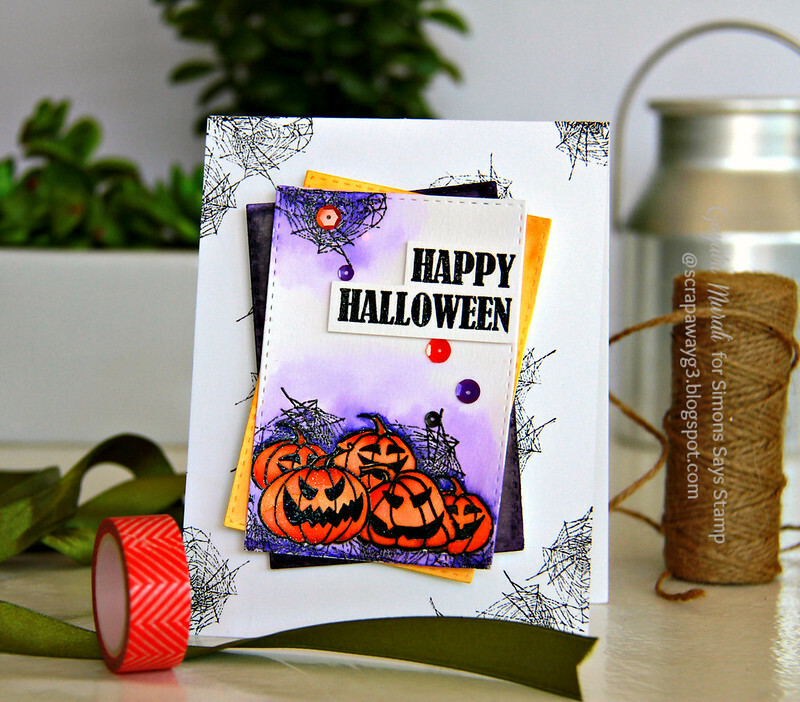 Neat design, Gayatri – love those “punkins”! Brilliant and fabulous Halloween card. A fabulous card Gayatri, a super design with fantastic colours and layers!! Your pumpins are are hilarious – I love their expressions!!! Gorgeous as usual – I just all the vibrant colors you use! Thank you for sharing your talent! This is a fantastic card!! Love the coloring and all the layers, and especially all the spider webs!! You've hit Halloween on the head here! Thanks so much for sharing with our products. I love your cards! your very talented.